LILAC welcomes donations of cash and kind. These allow us to keep our collections up to date by buying new titles regularly and assist with the rent. Note that LILAC is not yet a registered charity but we are investigating this to allow donors to claim a tax deduction. 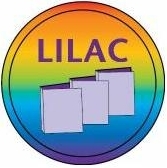 A donation of $30 will buy a book for LILAC - with a bookplate in it to acknowledge your donation. We reserve the right to select a title from our selection list. Make a donation as described above and indicate in your email message that it is for a book. LILAC also welcomes donations of books and DVDs to expand the collections. The Collection Management group will decide if the title(s) are appropriate for the collections. Duplicates are sold at our annual stall at the gay and lesbian fair to raise funds.